I studied at EC San Francisco for almost 4 months. 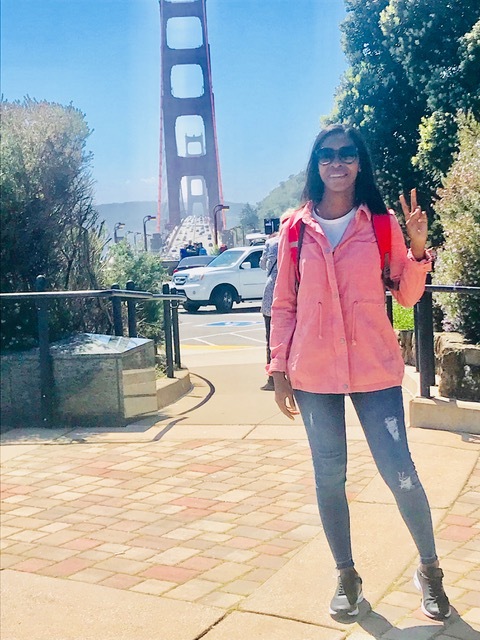 Studying at EC San Francisco has been the best experience of my entire life, I met a lot of people from different countries and participated in many activities in the school. I can describe my experience here absolutely amazing and unforgettable. Thanks to my teachers I was able to improve my English. At EC San Francisco school, I improved my vocabulary, my listening, writing and speaking skills. I learned a lot and today I can communicate in English with more confidence that before. If you have the opportunity to live this experience, I will recommend studying at EC school. San Francisco is a beautiful city with a lot to do, EC San Francisco is located in an excellent place in downtown with a team of experienced and teachers dedicated to helping you perfect your English. EC San Francisco has many activities daily outside and on campus that will allow you to enjoy your stay while you learn English and make new friends. Thank you so much to my teachers, my new friends from Japan, Brazil, Korea, Thailand, Switzerland, Mexico, Venezuela, Saudi Arabia, France, Italy, Taiwan, Germany, to Ryan and all Staff of EC. I will miss everything in San Francisco!! !